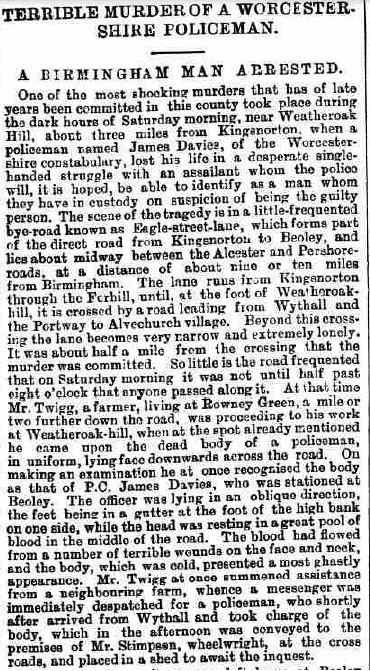 The ghost of a tall figure wearing a cloak and a tall hat has been sighted on numerous occasions around the Beoley area. 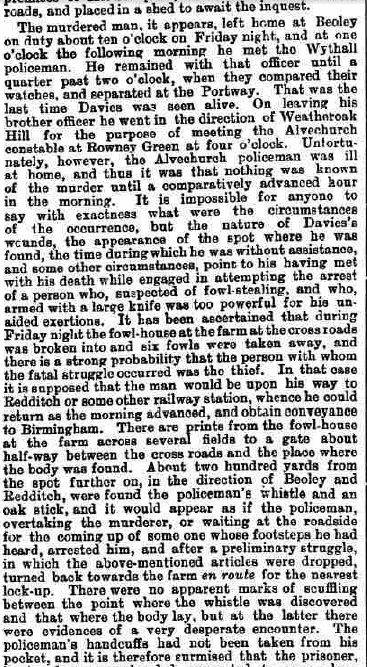 Many believe that this is the ghost of PC Davies, murdered in 1885, still doing his nightly rounds. 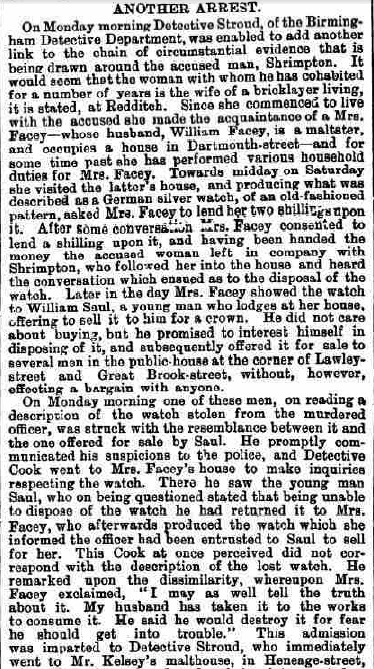 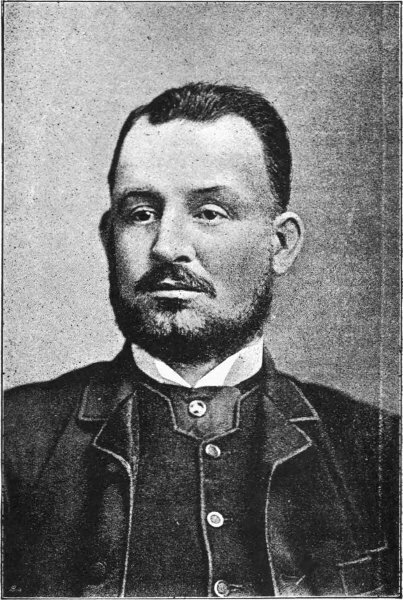 On the 28th of Febuary 1885, Constable James Davies, 33, who was stationed at Beoley failed to return from his nightly duties. 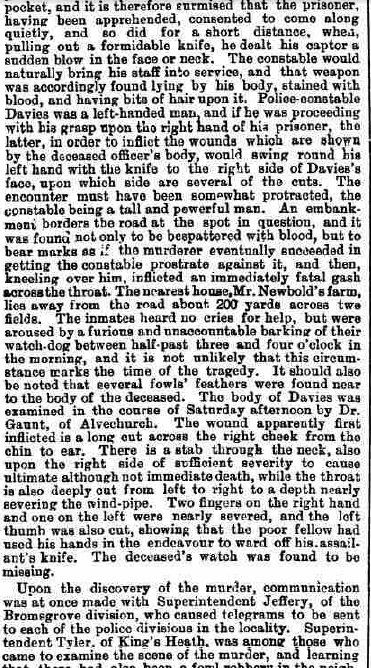 After a search, his body was found in a field, lying in a pool of blood. 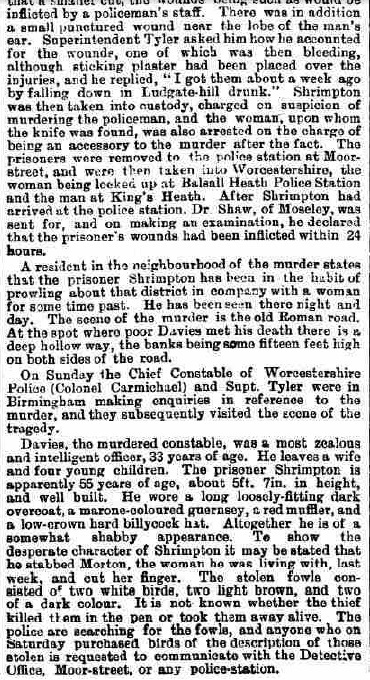 He had recieved around 40 stab wounds. 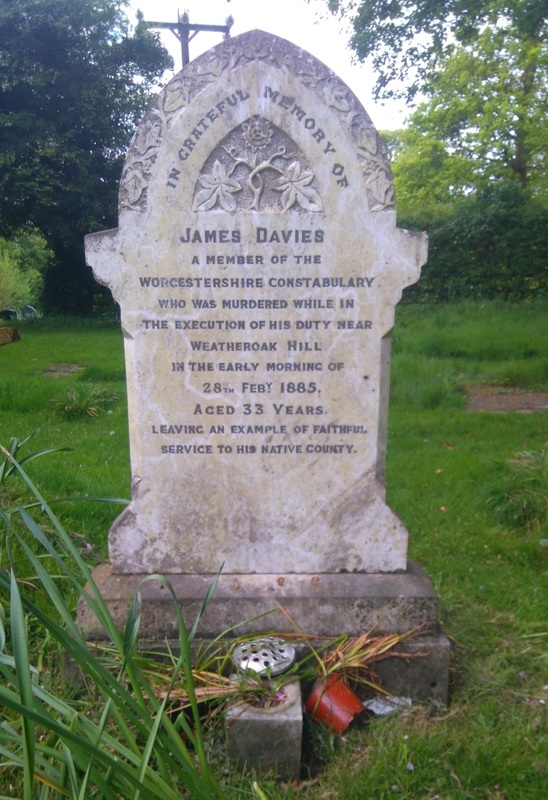 At the time, PC Davies had been looking out for poachers as many farm animals were being stolen in the area at the time. 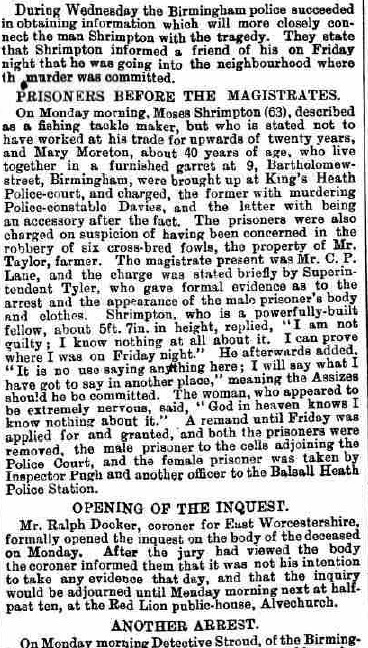 When the body was found, many dead chickens were also found around the area, suggesting that it could have been a poacher responsable for the murder of PC Davies. 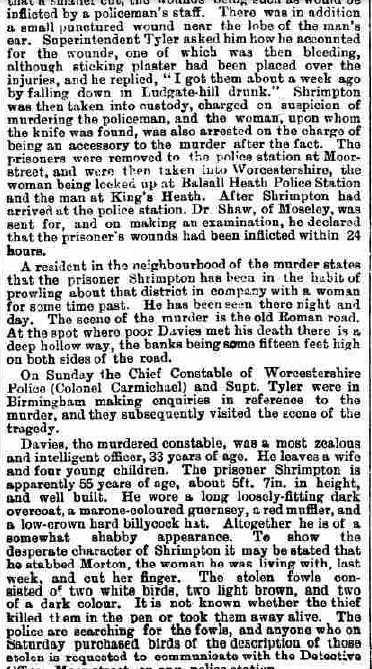 A well known poacher in the area was Moses Shrimpton who was well known to PC Davies and they had a few run-ins in the past. 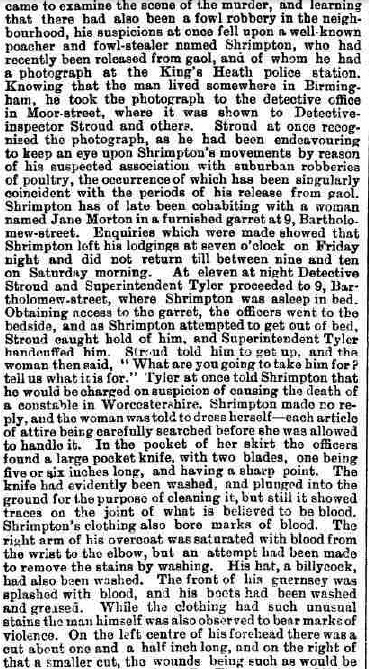 Shrimpton was tracked down and given the death sentance. 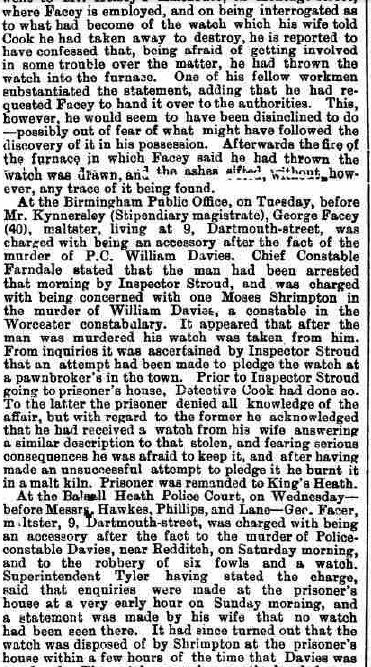 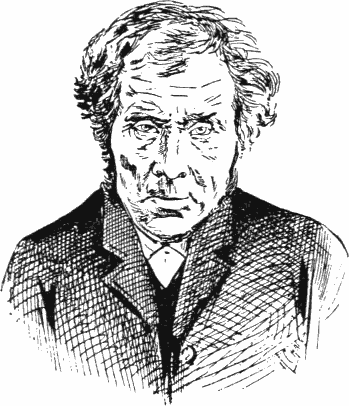 He was the last man to be hanged at Worcester Gaol on 25th of May 1885. 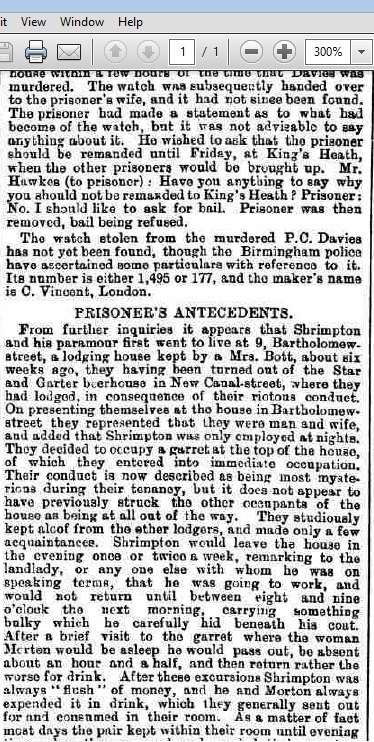 His executioner was James Berry, when hung, the rope length and his weight were miscalculated and Moses Shrimpton was decapitated.